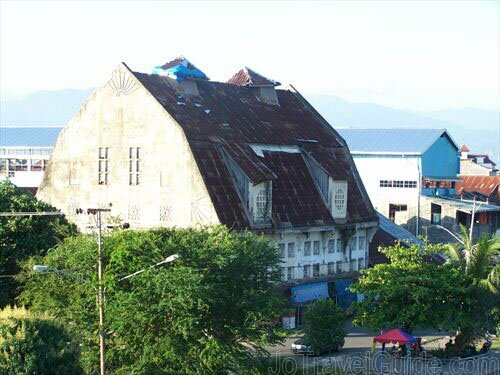 Padang’s old colonial center is a must to visit for people visiting Padang for the first time. It is also commonly known as “Padang Baru” or literarily means New Padang. Padang Baru is located along Jalan Batang Arau all the way to “Pasar Raya Padang” neighborhood (mostly crowded on Saturday night). On one side of the road, you will see various designs of old Dutch buildings dating back from the beginning of the last century. During the Dutch colonial era, this was an important area in Sumatera for tradings, as a lot of boats came from Java laden with goods. Nowadays, those old Dutch buildings have transformed into Chinese shop-houses and commercial buildings. Click the picture above for more and bigger photos of Padang Baru. On the other side of the road, you will see a (sadly) polluted river full of trading vessels and traditional boats. 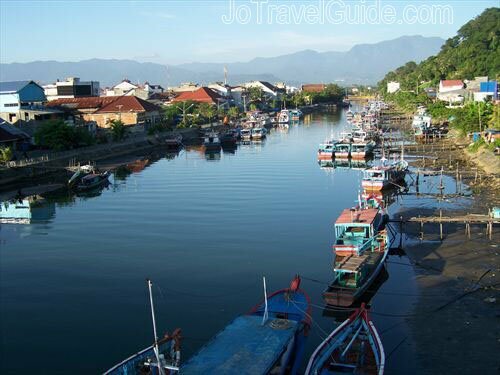 This river bank is part of the old port of Padang, known as Muara Harbor. 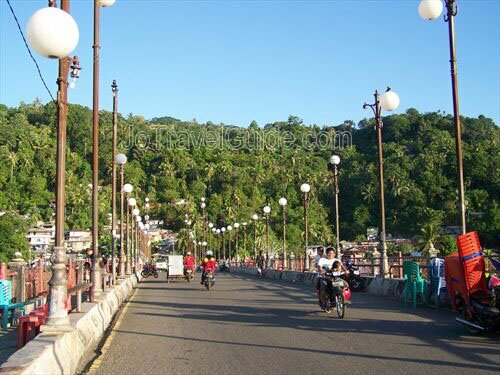 Looking beyond the Padang’s old colonial center, you will see the Air Manis district and the Siti Nurbaya Bridge. Further on along Jalan Batang Arau (approx. 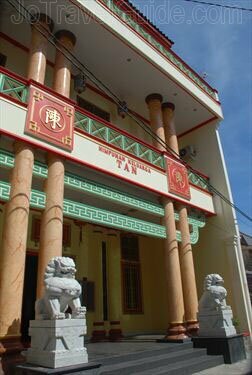 1.4 kilometers away), in the vicinity of Jalan Hos Cokroaminoto, Jalan Dobi, and Jalan Pondok, there is a Chinatown (“Kampung Cina”) where the Chinese social district center is situated, as well as the See Hin Kiong temple in Jalan Kelenteng (see below). There is also a small traditional market here, where visitors will find the local Chinese selling vegetables and herbs. How to get there : from Jl. Bundo Kanduang by public transport: take the “Pasaraya–Sebrang Palinggam” (blue color) angkot to Muara Harbour. Expect to pay Rp. 2,000. 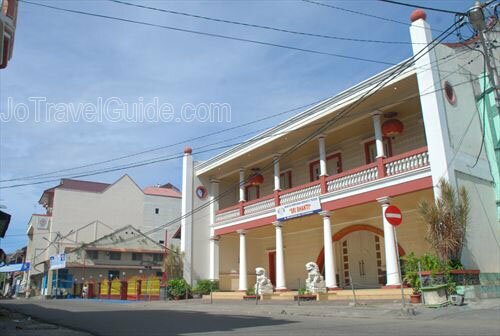 Among the old Dutch buildings that flourish around Muara Harbor, there is a Chinese temple which is distinctively red and can be spotted from the distance. This temple is more than 200 years old and built in the type of architectural designs found in Southern China. 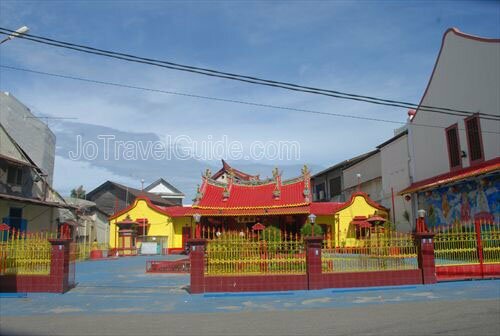 See Hin Kiong temple is a religious center for the local Chinese who live in Padang. 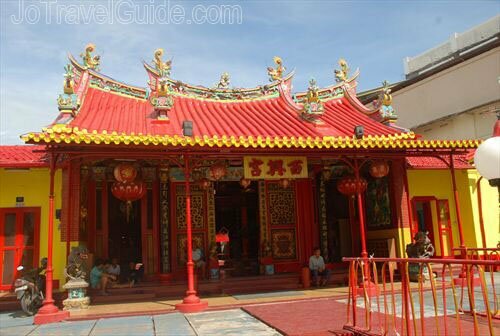 Click the picture on the right for more and bigger photos of See Hin Kiong Temple. 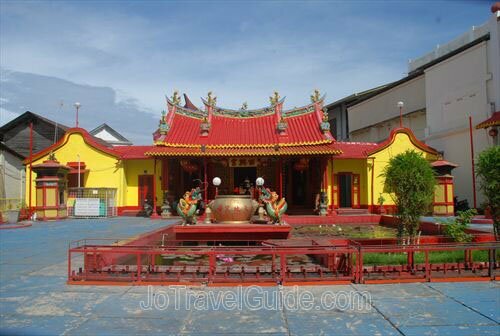 Remarks : this temple is located in the vicinity of Muara Harbor and the Pasar Gadang (Gadang Market). 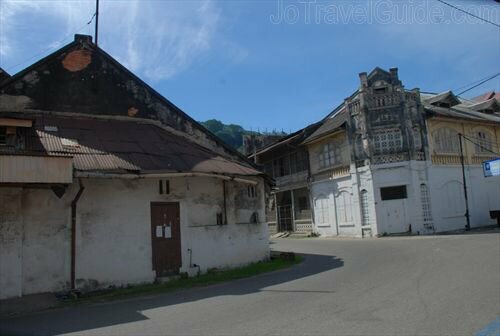 There are quite a lot old buildings in this area. we accept donation to help us keeping this website active, please click "Donate" below if you would like to participate. thank you.